On Wednesday morning, Gregory Sanders put on a purple shirt and a purple tie, drove to Annapolis, and got a $5.6 billion present for his 36th birthday: a light rail transit system. 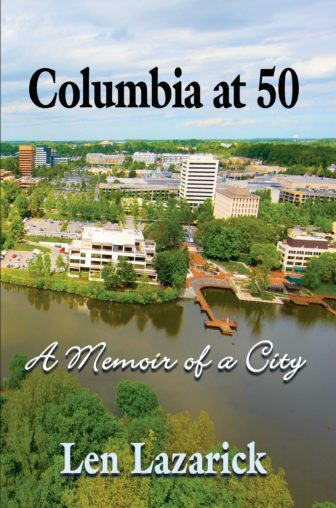 From a young age, his father, Harry Sanders, was a transit activist in Montgomery County who led the campaign to build the Purple Line and co-founded the Action Committee for Transit in 1986. But when Harry Sanders died in 2010, his son wanted to see the vision through. Purple Line Transit Partners, which was chosen as the project’s contractor, offered a “competitive price and maximum value,” Gov. Larry Hogan said. The agreement achieves $550 million in savings for the state over the contract’s lifetime, he said Wednesday. The 36-year P3 agreement – including a six-year design and construction period and a 30-year operating period – with the Maryland Department of Transportation, the Maryland Transit Administration and the Transit Partners would be performance-based. 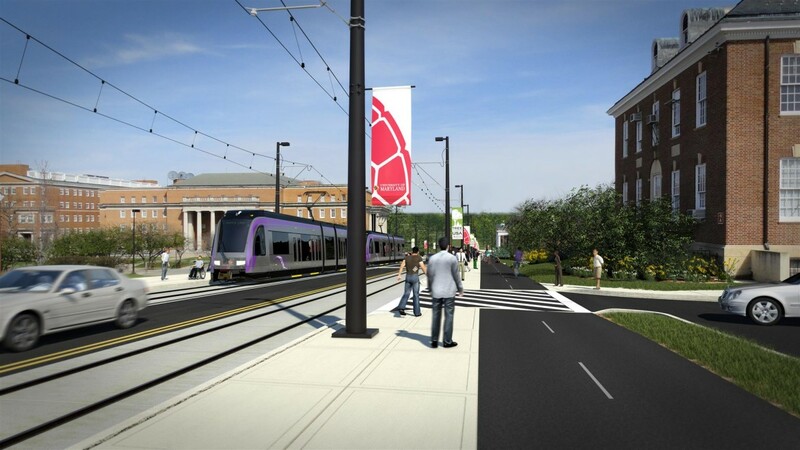 The Purple Line would run through Silver Spring and College Park and would include five stops on or near the University of Maryland’s campus that would be free for students. Critics of the Purple Line are skeptical of the noise and disruption construction and operation will cause. Franchot noted another potential challenge could come from enforcing riders to pay to ride the light rail, as Purple Line stations won’t have turnstiles. Purple Line Now President Ralph Bennett said the next steps are closing the contract and getting the Federal Transit Administration to certify a “full funding grant agreement,” which will lock in federal contributions of around $2 billion to the project. $990 million of federal reserves would come in the form of direct payments, while the remaining money would be Transportation Infrastructure Finance and Innovation Act loans, he said. To supplement state funding, more than $330 million in cash and contributions will come from Montgomery and Prince George’s counties: Montgomery pledged to pay $210 million, and Prince George’s County agreed to contribute $120 million to the project. Ground will be broken for the Purple Line by the end of 2016, according to David Iannucci, assistant deputy chief administrative officer for economic development for Prince George’s County. He spoke at a panel event Tuesday, where community leaders discussed the future of College Park. Maryland Secretary of Transportation Pete Rahn said at the board meeting Wednesday that service for the Purple Line should begin in 2022. The state transportation secretary got an earful from Republican delegates on the Appropriations Committee Friday. The Republicans wanted to know how much transportation funding had really been diverted to other programs and questioned why more transportation money was spent on mass transit than on public roads this year.